Although the Peloponnesian War occurred two and a half millennia ago in ancient Greece, it remains relevant for analyzing strategy and the employment of all instruments of national power to achieve strategic objectives. In this war, the Delian League, led by a sea power, democratic Athens, fought the Peloponnesian League, led by the land power, Sparta. The contest between the two sides resulted in a war lasting twenty seven years. By understanding this one conflict, you may understand the current problems of strategy and policy more thoroughly and deeply than if you read an entire library. Our program offers an unparallel (rare) opportunity to study the war in the actual locations it was fought. Being at Pnyx you get the feeling of the Athenians emotions when listening to the Pericles orations or deciding for war. 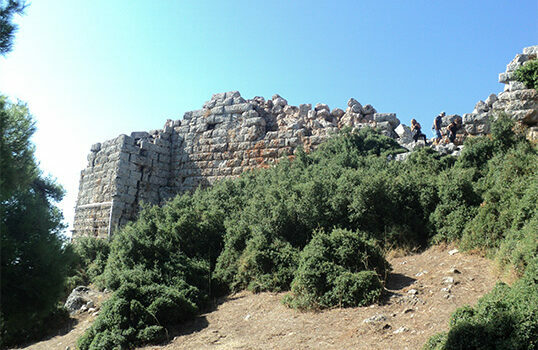 You will also visit Sparta and some of the spectacular battlefields of this war.